Improvisation Expert/Teacher/Choreographer. Born in Maputo (Mozambique). Based in Berlin since 2007. For 11 years Edivaldo Ernesto has worked with David Zambrano in Duet improvisations performance, Creations/ Teaching and touring across the world. He has performed: “twelve flies went out at noon”, “Soul Project” , ”SHOCK” and “land in love”; Directed by David Zambrano. He was invited to P.A.R.T.S dance school as assistant of David Zambrano and coaching the Passing Through technique in 2008. 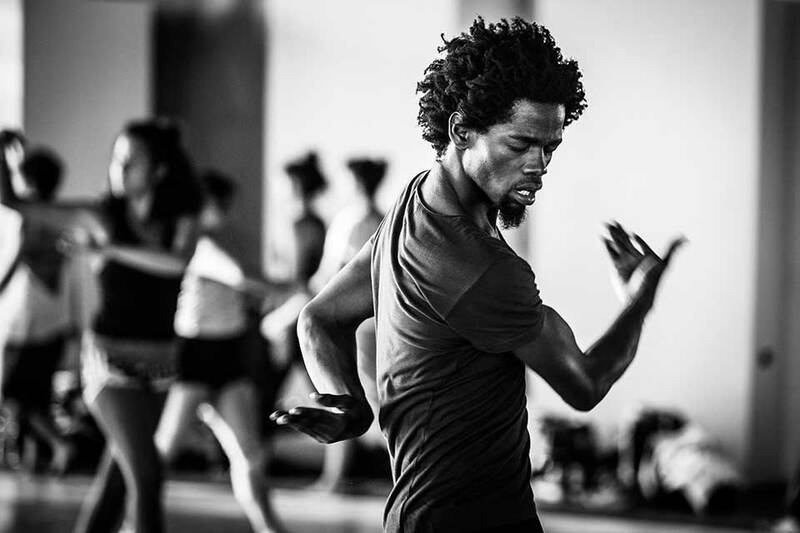 Edivaldo Ernesto is a former member of Sasha Waltz and Guests company. (2007-2014). He has worked with Sasha Waltz since 2007 as guest, and since 2008 he was a permanent ensemble member of Sasha Waltz & Guests. He performed Repertory and new Productions works: “Travelogue- Twenty to eight”, “Jagden und Formen”, “Continu”, “Metamorphoses”, “Passion”, “Gefaltet” and “Sacre” , and also part of the various Dialogue-project by Sasha Waltz. 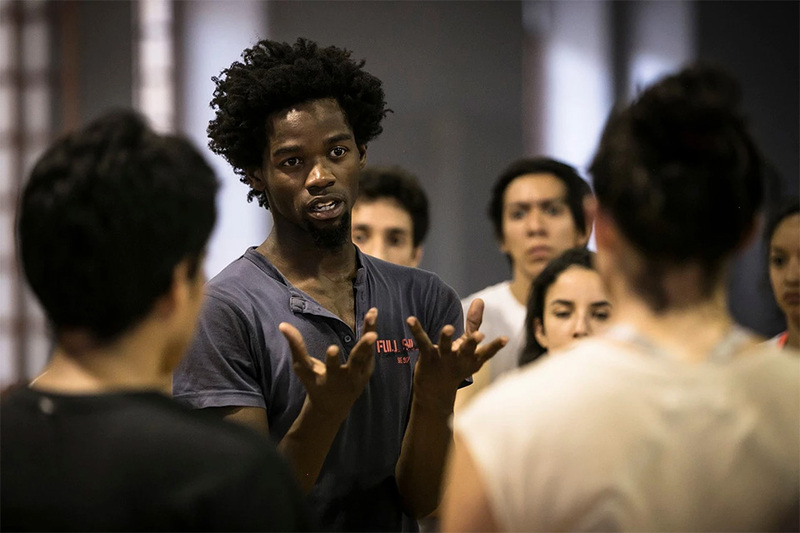 Since 2012 he has also developed various collaborative projects with Judith Sánchez Ruíz of spontaneous improvisation performances and choreographic duet “There is a name for it” and in research “’till Collapse” 2015. In 2012 Radialsystem organized the first concert between innovative German Pianist Hauschka and Edivaldo Ernesto. Touring Europe and Germany. In 2005, he won a DanceWEB Scholarship for five weeks at Impulstanz, Vienna International Dance Festival, Austria. In 2010 he participated as an assistant of David Zambrano in the 50 Days program San Jose, Costa Rica, directed by David Zambrano. He has taught as assistance of David Zambrano at ImPulseTaz Dance, Vienna (2011-2014); DansCentrum Jette, Brussels, Belgium; FUZIONI Improvisation Festival, Italy; EX>IN, Ponderosa, Germany. He has presented his work at Bouge B, DeSingel Festival, Antwerp, Belgium; Tanzfestival in Kulturzentrum Tempel, Karlsruhe, Germany; Offestival, Garage 29, Brussels; Belgium; Gdansk Dance Festival, Gdansk, Poland; Radialsystem, Berlin, Germany; Exit festival Paris- France with German Pianist Hauschka. Since 2011 Edivaldo Ernesto had been immersed in the investigation and development of his Workshops: “Depth Movement” and “ Next Level”: Taught at Biennale de Venice, Italy; SEAD Dance Academy , Salzburg , Austria; Deltebre dance Festival, Spain; Volkroom, Brussels, Belgium; Tanzfabrik, Berlin, Germany; Marameo, Berlin, Germany; Potsdam Festival, Berlin, Germany. HZT Dance University Berlin, Germany ; La Fleche, France; 1st Tanztreffen der Jugend, Berliner Festspiele , Berlin, Germany. FlounceUp, Roma, Italy, China workshop Guangzhou, China, Ex-In Madrid, FEC, Panama City.